Jump to a Simplified Summary of this Document, a feature of LFLegal.com designed to meet WCAG Success Criteria 3.1.5 (a WCAG 2.0 AAA Reading Level requirement). How can I get an overview of all the content on LFLegal.com? Visit the Topics Page to discover all the topics included in posts on this website. There are more than 30 different topic areas ranging from Talking ATMs to Web Accessibility to Settlement Agreements. Every post on this website will be listed in at least one topic area, also known as a category. The About Page provides an overview of Lainey’s background, work and achievements. The Book Page offers information about Lainey’s book on Structured Negotiation, published by the American Bar Association in August 2016. The Speaking Page has information about Lainey’s recent and upcoming presentations as well as testimonials about Lainey as a speaker. The Accessibility Page has information about the accessibility and usability of this website for disabled computer and mobile device users. The Resources Page includes resources about digital accessibility and other subjects Lainey works on. The Glossary includes definitions of some of the legally-oriented terms used on this website. The Legal Disclaimer Page has important information about a laywer’s website (including this one) and the lawyer-client relationship. How can I find Settlement Agreements on this web site? This web site offers a list of all settlement agreements in alphabetical order that the Law Office of Lainey Feingold has negotiated in Structured Negotiation. You can also search for settlement agreements by topic. For example, there are 23 settlement agreements in the Web and Mobile Accessibility Settlements topic. How can I find more information about Structured Negotiation? 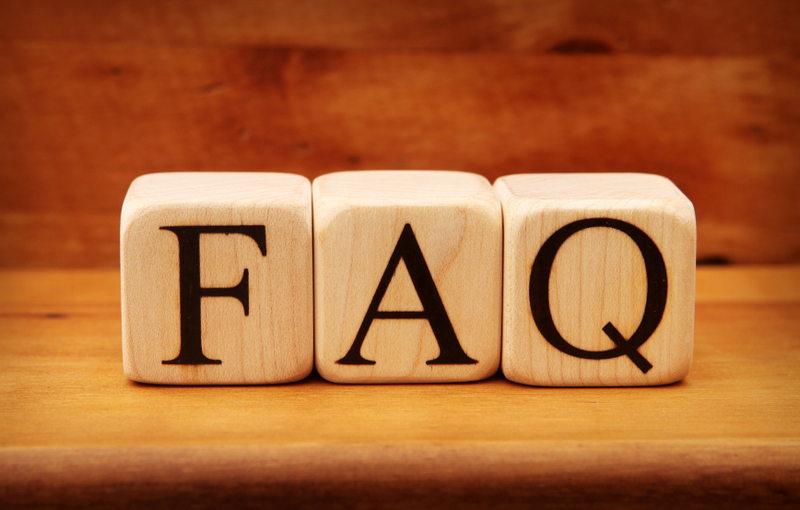 This page includes answers to Frequently Asked Questions about Structured Negotiation . You can also visit the Settlements Page. To learn more about Lainey’s book about Structured Negotiation, visit the Book Page. Does this website have information about digital accessibility in countries other than United States? Yes. Visit the International Issues Topic for a summary, with links, to all posts on this website about digital accessibility initiatives outside the United States. How can I get my free annual credit report on-line? Accessible on-line credit reports can be found by going to the free annual credit report web site sponsored by the major United States credit reporting agencies. This site and the reports themselves have been designed to meet the Web Content Accessibility Guidelines issued by the World Wide Web Consortium (w3c). How can I get my free annual credit reports in Braille, large print, or audio formats? People who are blind or visually impaired within the meaning of the Americans with Disabilities Act may order Braille, Large Print or Audio credit reports from any of the three credit reporting agencies by calling, toll free 877-322-8228. Where can I obtain more information about accessible credit reports? Additional information is available on this web site in the post about accessible credit reports. You can also read the full accessible credit reports settlement agreement and the accessible credit reports press release that was issued by the American Council of the Blind and others. What is an accessible pedestrian signal? An accessible pedestrian signal is a device that communicates information about pedestrian timing in nonvisual format such as audible tones, verbal messages, and/or vibrating surfaces. Working with the blind community and using Structured Negotiations, Lainey and co-counsel Linda Dardarian negotiated the first APS settlement agreement in the United States in which a city agreed to a comprehensive APS installation program. As part of that agreement, the parties negotiated Technical Specifications that provide more details about the features and functions of an APS. Where can I learn more about Accessible Pedestrian Signals? What is accessible prescription information? Accessible prescription information refers to prescription labels and patient information sheets presented in formats blind people can read. Accessible prescription information includes talking labels, braille and large print labels, as well as information sheets in these formats. Where can I find out what companies offer accessible prescription information? The accessible prescription initiatives of major United States pharmacy retailers are described in the March 2016 Prescription Update on this website. What vendors sell Talking Prescription Labels? A list of the major vendors offering accessible prescription information, including talking labels, can be found in the Vendor Section of the March 2016 Prescription Update. Digital accessibility refers to making web and mobile content usable by everyone, including disabled people. Digital accessibility also includes making digital devices, such as eReaders, classroom technology, and kiosks available to everyone. Where Can I find legal information about digital access? Visit the Legal Update Page on this website for links to all posts about the legal side of digital accessibility. The United States Department of Justice maintains an Americans with Disabilities Act website where you can find news from the DOJ and can subscribe to updates. Visit the DOJ ADA page. How do disabled people use the web and mobile devices? Disabled people use a variety of hardware, software and techniques to access web and mobile content. Some people have built-in software that speaks text aloud and provides audible navigation cues. All iOS devices come with that software — known as VoiceOver — built in. Others use software that enlarges text. People who cannot use a mouse may use a regular or specialized keyboard, and may access that keyboard with their hands or other tools. You can learn more about how disabled people access digital content on the WebAim website. How do I know if a website is accessible? Accessible websites are designed and developed to well-established international accessibility standards known as the Web Content Accessibility Guidelines (WCAG) 2.0). WCAG 2.0 Level AA is the most commonly accepted accessibility standard and is used in settlements negotiated by the United States Department of Justice (and by those negotiated by the Law Office of Lainey Feingold.) Accessible websites are also tested by disabled users to make sure all content, features and functions can be used. Accessible websites do not require use of a mouse, because not everyone can use a mouse. Accessible websites have captioned videos because not everyone can hear audible video content. What is an accessible mobile application? An accessible mobile application is one that both disabled people and non-disabled people can use with the same level of ease and privacy. As with websites, mobile applications can be designed to acceptable accessibility standards and tested by disabled users. What is an accessible kiosk? An accessible kiosk has a way for people to confidentially enter and receive information if they cannot see the screen. This means that there is audible output delivered confidentially if the information on the screen is confidential. An accessible kiosk is also built and installed to architectural standards ensuring they are usable by wheelchair riders. A Talking ATM is a good example of an accessible kiosk. Read posts on this website about Talking ATMs. How can I find disabled people to review my website, mobile application, or other digital devices for accessibility and usability? Visit the Resources Page of this website for organizations that can help evaluate and remediate websites. Do laws in the United States require websites, mobile applications and kiosks to be accessible? Yes. Visit the Legal Update Page of this website for information on legal requirements for digital accessibility. Structured Negotiation is a dispute resolution process. The method is collaborative, focuses on solution and seeks a win-win resolution to disputed claims. Structured Negotiation is an alternative to filing a lawsuit. The method has been used by the Law Office of Lainey Feingold for almost twenty plus years to increase access to technology and information without litigation. Lainey’s book about Structured Negotiation was published by the American Bar Association in August 2016. It is a step-by-step guide to the process, full of stories from successful Structured Negotiation cases, designed for advocates and lawyers in all fields looking for a winning alternatives to lawsuits. Large organizations including Walmart, CVS, Bank of America, and Major League Baseball have participated in the process. The method is effective with government agencies. The City and County of San Francisco and the Metropolitan Transit Authority of Harris County Texas (Houston) are two of the public entities that have used Structured Negotiation to resolve claims. Visit the Settlements Page to find a list of all agreements The Law Office of Lainey Feingold has negotiated with Structured Negotiation. Read the Fifteenth Anniversary post about the use of Structured Negotiation. How does a Structured Negotiation begin? The Structured Negotiation process begins when a person or organization contacts a lawyer with a legal claim. Most often, they have tried to solve a problem themselves but have been unable to do so. When a client approaches a lawyer with a problem, they should discuss the possibility of solving that problem with a collaborative approach instead of with a lawsuit. If everyone agrees that Structured Negotiation is a good approach, the lawyer writes a letter to the person, company or government agency that is responsible for fixing the problem. The letter introduces the claimants, describes the problem and explains the legal reasons supporting the claim. The letter is written with a tone of cooperation, not conflict, and describes the advantages of Structured Negotiation. It also suggests potential solutions to the identified issue. If the entity to whom the letter is sent is willing to engage in the process, a “Structured Negotiation Agreement,” or ground rules document is signed to protect the interests of all parties during the negotiation. What are the results of Structured Negotiation? Structured Negotiation is collaborative. If all parties agree, a legally binding written settlement agreement is negotiated and signed. Agreements reached in Structured Negotiation are similar to those negotiated when a lawsuit settles. Structured Negotiation has been a cost-effective method for resolving both injunctive claims and claims for damages and attorneys’ fees. A current list of all Settlement Agreements reached as a result of Structured Negotiation by the Law Office of Lainey Feingold is available on this site. You can also find a list of all press releases issued to announce Structured Negotiation settlements. What issues are best suited for Structured Negotiation? Structured Negotiation is well suited for resolving claims on a wide range of issues where the parties seek to avoid the stress and expense of conflict and focus on solution. While the process was developed to resolve disability rights claims for information and technology access, the process has application to other fields of law. The Law Office of Lainey Feingold has used Structured Negotiation to achieve Talking ATMs, accessible websites and mobile applications, alternative formats for financial and health information, tactile point of sale devices, video description equipment in movie theaters, and accessible pedestrian signals. Recently Structured Negotiation successfully brought talking prescription labels to Walmart, Rite Aid, CVS, Humana, Caremark, and Walgreens. The method has also been successfully used in several cross-disability hospital access cases around the country. Lainey’s book about Structured Negotiation will teach lawyers and advocates how to use the method regardless of practice area. How can you become involved in Structured Negotiation? If you are a potential client with a claim you think might be appropriate for Structured Negotiation, or if you are a lawyer with a case you think could be resolved in Structured Negotiation please contact us. How can you learn more about Structured Negotiation? Lainey has written a book about Structured Negotiation. Read more about the Structured Negotiation book on this website. You can also read interviews with Lainey about Structured Negotiation or listen to podcasts where she discusses the strategy and her book. Visit the Media Page for a list of recent Structured Negotiation interviews. What is a Talking ATM? A Talking ATM is an Automated Teller Machine (ATM) that delivers all information and instructions necessary to use the machine audibly and privately through earphones plugged into a headphone jack on the face of the unit. A Talking ATM has a tactile keypad so a user can independently and privately enter all required information and perform all transactions necessary to use the device. Read about legal requirements for Talking ATMs in the United States. When was the first Talking ATM installed in the United States? The first Talking ATM was installed in the U.S. on October 1, 1999 in San Francisco, California. Read more about the history of Talking ATMs by selecting the Talking ATM link on the Topics Page of this website. How can I learn about Talking ATMs in countries other than the United States? The same corporations that manufacture Talking ATMs in the U.S. make the machines for installation around the world. Visit the International Issues Category of this website for posts about global Talking ATM installations. What companies manufacture Talking ATMs? All major ATM manufacturers now produce Talking ATMs. In the United States, and around the world, these manufacturers include Triton, NCR, Wincor-Nixdorf, Diebold, and Fujitsu. Which banks have Talking ATMs? All financial institutions in the United States are required to have Talking ATMs. Are Talking ATMs located in places other than banks? Yes. Talking ATMs can be found at retailers across the country. Cardtronics settled a lawsuit that resulted in installation of thousands of Talking ATMs in retail locations. Retailers such as 7-Eleven, Target and Wal-Mart all have Talking ATMs. Where can I read press releases about Talking ATMs? Twenty-two Talking ATM press releases issued as a result of Structured Negotiations are posted in the Talking ATM Press Release Category of this website. This page has questions and answers about the issues Lainey works on. It also has questions and answers about Structured Negotiation, an alternative to filing lawsuits. The topics on this page include talking pill bottles, audible crossing signals, and Talking ATMs. There is also information about how to obtain a credit report if you cannot read standard print. If you have questions about these subjects and cannot access the content on this page, please Contact the Law Office of Lainey Feingold. Back to the Frequently Asked Questions.